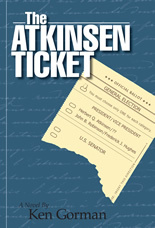 President Atkinsen shocks the delegates at his party’s the national convention by his choice of Vice-President. His reelection effort struggles to reduce the polarization inside the Beltway and defeat the societal transformation supported by his opponent. Distraught over his wife’s death in his first term, he must endure the travails of campaigning: a scandal in his administration; a dysfunctional United Nations; and an assassination plot at Yankee Stadium. 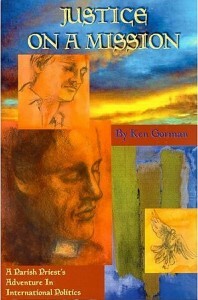 This entry was posted in Books, Fiction and tagged Ken Gorman on April 8, 2013 by webmaster. ‘A clash of strongly-held beliefs and obsessive behavior result in violence and an international crisis in this action/suspense story. The roots of Nazi Germany and the ascendancy of unbelievers breed an extremist group, who seek to diminish the influence of organized religions by explosive measures. The FBI is challenged to unravel the group’s power base in America and Zurich. This entry was posted in Books, Fiction and tagged Ken Gorman on March 29, 2013 by webmaster. 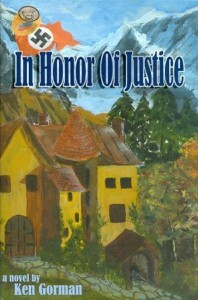 Follow a parish priest on an odyssey to the Vatican, a Middle East summit meeting, and to Jerusalem. A journalist joins Father Matt in the mission of peace and ecumenical unity, while an unexpected adversary threatens to disrupt the goal.